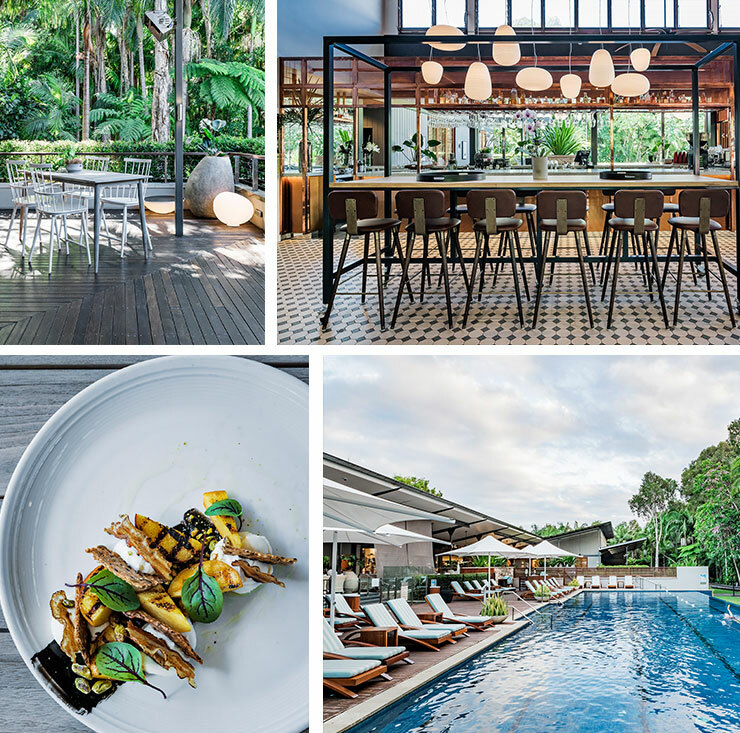 We’re Frothing Over This Byron Bay Hotel’s Incredible Reno! As if we actually needed another excuse to spend a long weekend in Byron Bay, here’s another to add to the list; the iconic hotel, The Byron at Byron has undergone an impressive facelift—and, trust us, you’re going to want to check in. Aside from the fact that this incredible venue is already home to an award-winning day spa, overlooks acres of pristine rainforest and that pool, they thought it time for a little modernisation—and wow, does it look spanking. Already renowned for its luxurious fit-out and amenities, The Byron at Byron team have brought in the mad skills of award-winning architecture and interior design firm, Luchetti Krell, alongside one of the all-time Aussie chef greats, Matthew Kemp (of Sydney’s Balzac fame), to overhaul the look and feel of the hotel’s restaurant, bar and central facilities. And the result is utterly jaw-dropping. Making the most of the venue’s open-planned spaces, Krell have perfectly combined a mix of luxe textures and muted beachside tones, creating depth of character and intimate areas—think rustic wicker, copper bar, polished wood, large plantation fans and soft pendant lighting—perfect for whiling away the hours with a cocktail or two, a good book or a bite to eat. Kemp will be responsible for driving Byron at Byron’s restaurant in a new direction, focusing heavily on the abundance of incredible local produce at his fingertips, while combining his signature Asian-fusion and European flare. It’s safe to say that Byron Bay is always at the top of our stay-cation bucket list (it has its own walkway through the rainforest to the beach, ffs) so we highly suggest booking yourself a room for the weekend and checking it out for yourself. The big V-Day is coming up, just saying….